Custody proceedings are often hardest on children, the very people around whom these proceedings center. Michigan passed the Child Custody Act in 1970 to ensure that children's best interests are protected. As knowledge about the needs of children whose parents do not live together has grown, the Michigan State Legislature has modified the act substantially. Michigan, like all states, uses the "best interests of the child" as the controlling standard when determining who should get custody of, and parenting time with, a child. Unlike many states, Michigan law sets forth specific criteria judges must consider when determining parenting time. These factors include the bond between the child and each parent, the parenting competence of each parent, the effect a particular visitation schedule or custody arrangement might have on the child, the child's wishes, and whether or not the child is under the age of one and currently nursing. There is no age at which a child's wishes become determinative of her custody arrangement. Michigan law repeatedly emphasizes the importance of a child's relationship with both parents. Visitation is referred to as "parenting time," and it is extremely rare for a parent to receive no parenting time. There is no gender-based presumption in state law, and both parents have equal rights to their child. In cases in which a third party, such as a grandparent or government agency, seeks custody of the child, there is a rebuttable presumption that it is in the best interests of the child to be with either or both parents. Michigan is one of only a handful of states that grants visitation rights to grandparents. Grandparents can petition the court for visitation with their grandchildren when someone other than the child's parent has custody, when the parents are divorced, when the parents never married, when the grandparent's child - also the parent of the grandchild - has died, or when the grandparent previously had either legal or de facto custody of the child. When a judge feels that no one is adequately representing the best interests of a child, she may appoint a guardian ad litem. These are attorneys trained in family law who interview the parties, investigate the case and make a report to the judge. 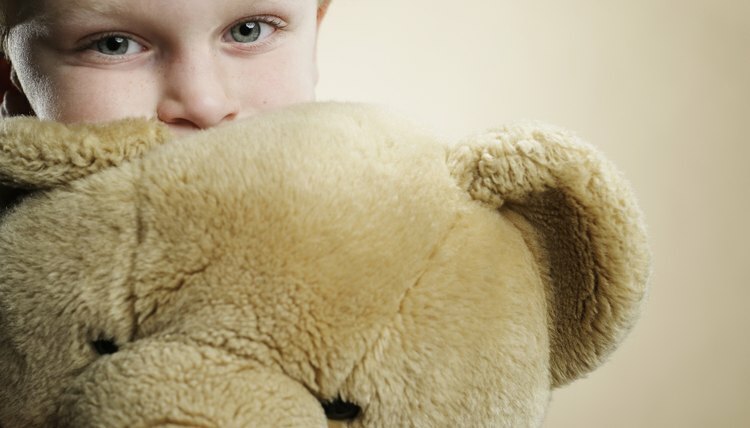 Guardians ad litem may also file motions on behalf of the child. There is a strong presumption in favor of giving parenting time to the noncustodial parent. State law codifies parenting time with the noncustodial parent as a basic right of children, and awards parenting time unless there is clear and compelling evidence that such time could be damaging to the child. Michigan courts tend to favor joint legal custody even when one parent is the primary physical custodian. Davis, Brenna. "Child Custody Laws for Divorce Cases in Michigan." , https://legalbeagle.com/child-custody-laws-divorce-cases-michigan-21907.html. Accessed 24 April 2019.
Who Pays Child Support in Shared Custody in Texas?